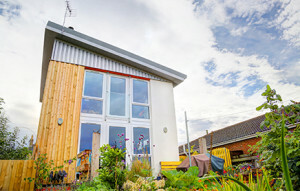 Two years ago, Jo and Andy Thompson were living in social housing at Unity Gardens, Long Sutton, Lincolnshire – one of the UK’s first zero-car bon housing developments. They had resigned themselves to being lifelong renters, having no spare cash for a deposit; buying or even building their own home was a pipe dream. “We would watch TV programmes like Grand Designs, but they were utterly depressing because everyone had such big budgets,” says Andy. Then one day, the dream of owning their own home became more of a reality. “When it came to looking at house designs, we were inspired by the development that we used to live in, which was eco-friendly with no utility bills – and nice and simple. We employed the help of local Architect Dr Jerry Harrall, a multi award winning designer of eco-friendly developments.” Click here to see his website. Jerry, a Chartered Architect, developer and independent researcher, qualified in 1995 and has accumulated fourteen years of first-hand experience designing, building, living, working in and monitoring naturally heated, naturally ventilated buildings. He has now to his credit designed 14 buildings that hold UK’s highest Energy Performance Certificates, as well as the seven lowest air pressure tests on record. The Thompsons’ previous home, Unity Gardens, is an award-winning development created and designed by Jerry, comprising six carbon negative single-storey dwellings in Lincolnshire. The development was the first near-autonomous housing scheme of its kind and has achieved a Code for Sustainable Homes Rating of Level 4. “Once Jerry had designed our new home, which we’d named ‘FranklyBee’, he submitted the plans – keeping it simple to avoid any hold ups. We then sorted the finance, applying for a self-build mortgage,” continues Andy. Jerry reflects on the Planning process: “The first challenge came after submitting the plans to South Holland District Council. The planners required a consensus as to whether to support the application, due to the building being classed as ‘modern architecture.’ Luckily, however, the same local authority’s Building Control team had a completely opposite approach and championed the designs from the onset. It took 12 months from submitting the plans to beginning the build. Andy continues: “In March 2014, we moved into a caravan on-site and building began. “Due to the differences in the way the building was designed, trades-people had to take a new approach to the way they worked. Bricklayers, for example, weren’t required to lay bricks or leave cavities in the wall. Jo says: “We hadn’t heard of Liniar windows before, but our architect recommended them as he had used them in previous projects. We did look at timber as an option, but we had seen it used in other developments where it had warped and had problems with the seals. So, as we wanted a large opening, we didn’t want to risk it. Bob ordered windows with Liniar EnergyPlus six-chamber profile, plastic composite spacer bar, triple glazing and low emissivity film on the inside and outside to achieve a U-value of 0.8W/m2K. By using this combination, the heat loss from the house was reduced by 50%. 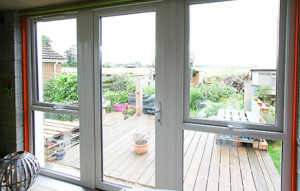 The windows were installed on a layer of external insulation as opposed to the usual cavity, to further increase thermal efficiency. 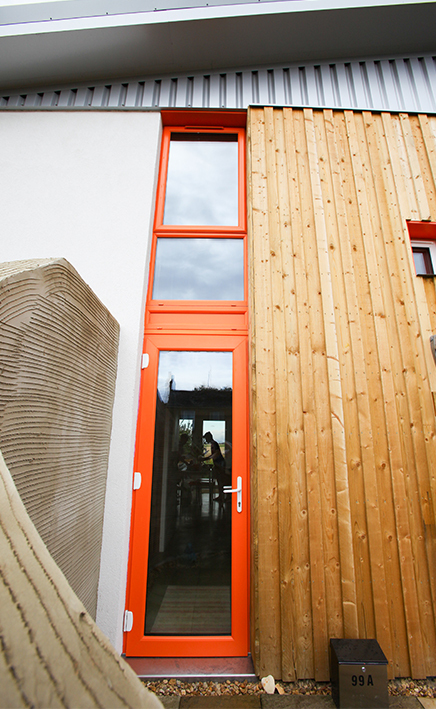 “FranklyBee represents modern living,” claims Andy, “and we’re delighted that the building is ‘Energy Positive’ by 40% – meaning that it generates 40% more energy that it uses. Putting that into numbers, our house generates around 5,000 kWh of energy a year, but we only use around 3,000 kWh. 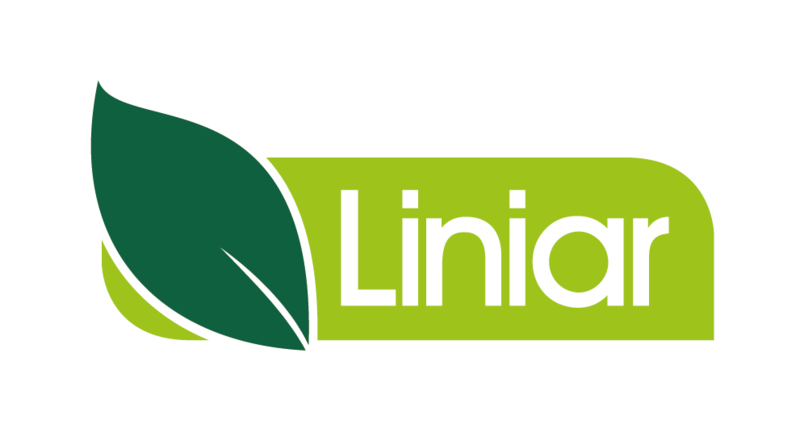 Update 2017: Liniar has now launched a 90mm window system with PassivHaus certified components – find out more about EnergyPlus90 here!